Cut is the number one factor in determining the quality of a diamond. It is by far the most important aspect in purchasing and as such its effect on pricing is significant. Before we go any further though, remember that Cut is not the same as Shape. While Shape refers to the actual shape of the diamond (Round, Princess, Pear, etc. ), Cut refers to how well the diamond reflects light to provide maximum brilliance. Hence, a diamond with an excellent Cut will sparkle and shine when seen in the light. The better the Cut, the greater amount of light entering the diamond will be reflected out correctly, creating a high degree of fire and brilliance. A poor Cut diamond will never sparkle with the same intensity, no matter how clean or colorless it may be. The GIA has five distinct rating for Cut. They are, Excellent, Very Good, Good, Fair and Poor. As stated above, you should only ever look at a diamond with an Excellent cut. Only an Excellent cut will radiate almost all the light entering the diamond. The AGS has a similar scale, with an added rating of Ideal slotted above Excellent. In turn, only Ideal cut AGS diamonds should be considered. Within these ratings there are a number of factors that sum up to the diamonds Cut. The goal of a diamond’s Cut is to reflect as much light as possible. If you see the diamond in a 3-dimensional field there are three aspects to consider: Table, Depth & Width. The Table describes the flat top portion of a diamond, and is measured as a percentage of the width of the table divided by the total width (diameter) of the diamond. 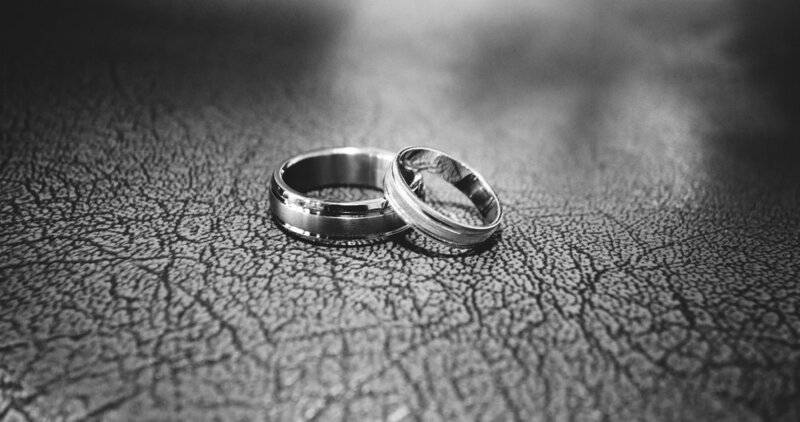 Unfortunately, the ideal Table percentage relies heavily on the Shape of the diamond. The GIA categorizes Table percentage utilizing the same five category scale as Cut, with each level having an acceptable range. The Width of a diamond is important in determining the Length-to-Width ratio, which like most other diamond ratios is highly dependent on the diamond’s shape. When looking at a diamond from above, the Width would be the measurement from Girdle-to-Girdle on the short side, and the Length would be the measurement from Girdle-to-Girdle on the long side. As an example, a Round or Princess shaped diamond should have a perfect 1.00 Length-to-Width ratio, where the Length and Width are exactly the same. 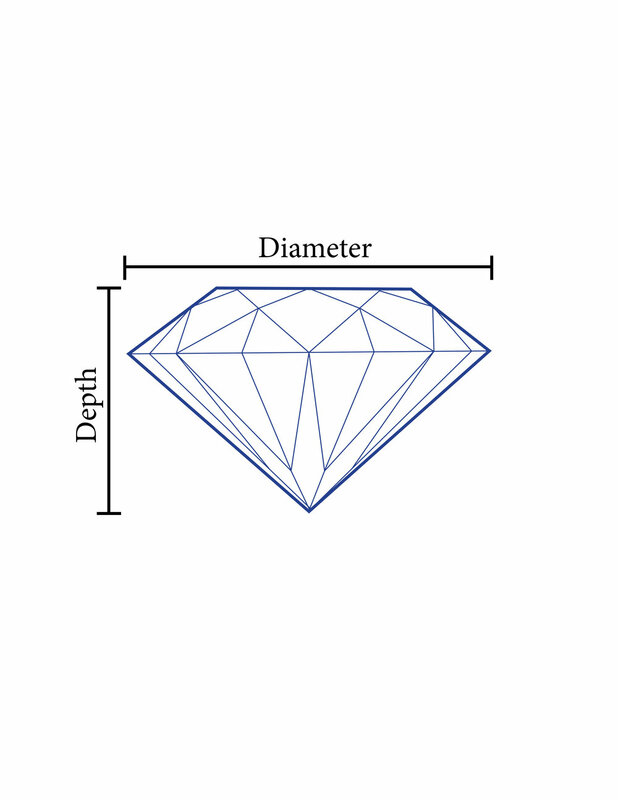 The Depth of a diamond is measured as a percentage by dividing the Height of the diamond (from Cutlet-to-Table) by the Width (Diameter) of the diamond (from Girdle-to-Girdle). Just like the Table percentage, the Depth percentage can significantly affect the appearance of a diamond and the amount of light reflected out of the diamond. This measurement is categorized by the GIA utilizing their five category scale, with each level having a particular range based on the Shape of the diamond.